As you all maybe know, we care about the environment, we are vegetarians and we try to reduce waste as much as possible. (Read our blog about Reducing Waste here). In our Bed & Breakfast we try to contribute as much as possible to create a better environment for current and future generations and by telling our guests about our "Green vision and mission". In line with this, it was a logical next step to enter into a partnership with Green Tourism and take part in their rewarding system. We completed their Green Check and provided the needed evidence and after that we received the report on The Green Cruachan, below you can find the summary of it. 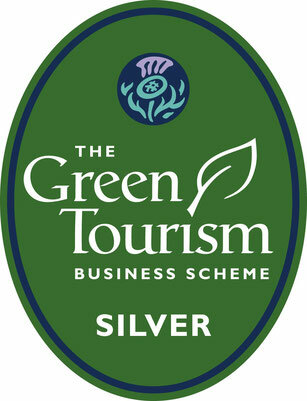 "The Green Cruachan is off to an impressive start, securing the SILVER level of award. The owners are clearly very green aware and have brought in a number of green initiatives to the property in the last year. The older house has its challenges however new technology such as widespread use of LED lighting, good insulation and A+ rated appliances will all keep bills under control. There are some fantastic procurement choices. This is evident on the menu which is fully vegetarian/vegan, thus with a low carbon footprint while 100% recycled paper items and eco cleaning products and soaps are utilised. Waste minimisation works well with recycling facilities for all of the main waste streams, while guests are encouraged to play their part." --> Source Green Tourism, Stuart Park.